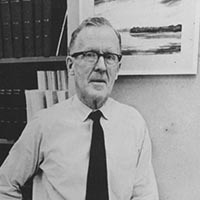 Donald Olding Hebb, one of the outstanding psychologists of the 20th century, was born in Nova Scotia and received his MA from McGill in 1932. 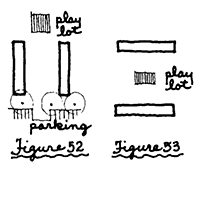 He conducted research on brain-damaged patients with Wilder Penfield at the Montreal Neurological Institute. 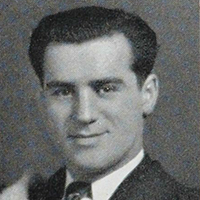 In 1947 he came to McGill as professor of psychology, serving as chairman of the department (1948-1959), Vice-Dean for biological sciences (1964-1966), and finally Chancellor of the University (1970-1972). In addition to The organization of behaviour (1949) and A textbook of psychology (1958), he wrote over 50 scholarly articles; moreover, he was at the centre of a network of researchers which, though informal, served to review and refine new ideas in psychology before they were published. 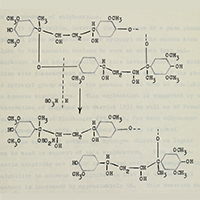 W. Lincoln Hawkins was a noted chemist and inventor who, following his PhD at McGill, went on to work at Bell Laboratories. One of his key inventions (alongside co-inventor Vincent Lanza) was the development of a durable plastic to coat telephone wires. This discovery extended the lifetime for the cables and significantly expanded access to telephone service across the United States and around the world. For this and his additional contributions to the scientific community he was awarded the National Medal of Technology by President George W. Bush in 1992. 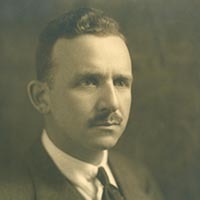 John Peters Humphrey's history with McGill is a long one that started with a degree in Commerce (1925), a Bachelor of Arts (1927), a Bachelor of Law (1929) and then a PhD in 1945. In 1946 that he was appointed as the first Director of the United Nations Division of Human Rights, where he authored the first draft of the Universal Declaration of Human Rights. The McGill University Archives holds a large collection of records associated with Humphrey, including handwritten pages from the original draft of the Universal Declaration of Human Rights. Irving Layton was a celebrated Canadian poet who was born in Romania but raised in Montreal. His first interaction with McGill came when the student newspaper, The McGilliad carried his first published poem as a high school student. Among the honours he received are the Governor General's Award in 1959 for A red carpet for the sun and a nomination for the Nobel Prize in Literature. He was a prolific writer who influenced a generation of poets and artists including Leonard Cohen, Eli Mandel, and Al Purdy. 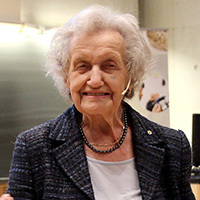 Brenda Milner is the Dorothy J. Killam Professor of Neurology and Neurosurgery at the Montreal Neurological Institute and McGill University. She has been called the founder of cognitive neuroscience and has made significant contributions to the study of memory; demonstrating that memory is attached to certain areas of the brain and that there are multiple memory systems. Dr. Milner is member of the National Academy of Sciences (USA), the Royal Societies of London and Canada and is a Companion of the Order of Canada. She was also awarded the Balzan Prize for cognitive neuroscience in 2009. 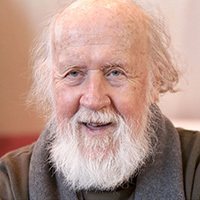 Renowned French Canadian nuclear astrophysicist Hubert Reeves received his MSc from McGill in 1956. He is a leading expert on the Big Bang theory and a well-known popularizer of science, often being interviewed in the media about his research. Raymond Moriyama is an acclaimed Canadian architect. He designed several buildings at Brock University and also served as the Brock's chancellor. As a result of Canadian government internment of Japanese Canadians during World War II, Moriyama was confined to an internment camp as a child. In 1985, he was made an Officer of the Order of Canada and in 2009, he was one of nine laureates to receive a Governor General's Award in Visual and Media Arts.